Congratulations to the cast of the North American tour. 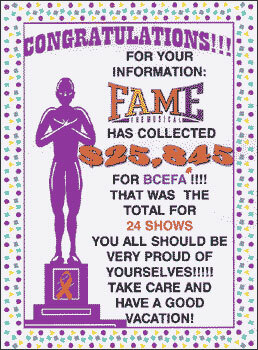 The North American cast collected $25,845 for Broadway Cares/Equity fights AIDS during 24 performances around the Christmas holiday in Costa Mea, CA. Thank You to the Costa Mesa audiencs for being so generous.